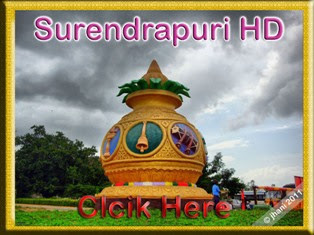 SURENDRAPURI, A rising Temple Complex Located on Yadagirigutta Road and just 2 KM away from Yadagirigutta, Nalgonda Dist. Andhra Pradesh, India. 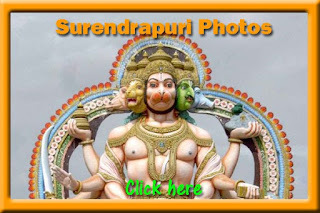 Before it is famous as Panchamukha Hanuman temple (see in photos) where you can see one of the tallest idol of Hanuma. 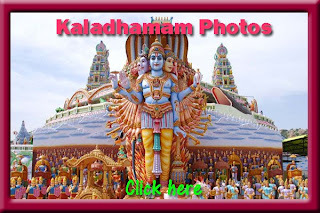 But currently it is became a main tourist attraction with “Kunda Stayanaranayana KalaDhamam” A Mytholigical Awarness Centre calling as “Padmavyuham” which is started recently. 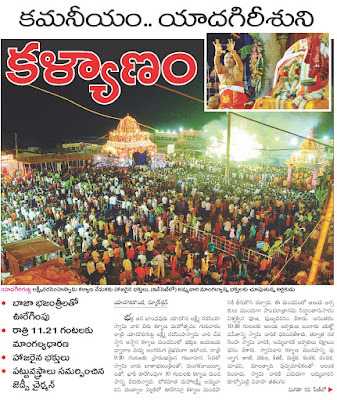 Is it possible to see all pilgrim centers of India in one day ??? absolutely NO. 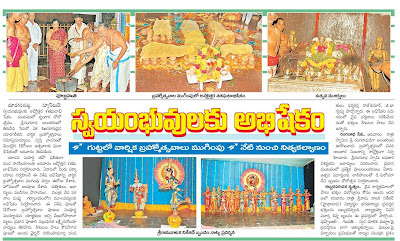 Including to above they constructed (imagination) the scenes based on the Ramayana and Mahabarahath epics also. Timings : 8.00 AM to 5.00 PM Every Day. Governor N.D. Tiwari has inaugurated the Kunda Satyanarayana Kala Dhamam, a mythological awareness centre, at Surendrapuri near Yadagirigutta in the district on 09.03.2009. 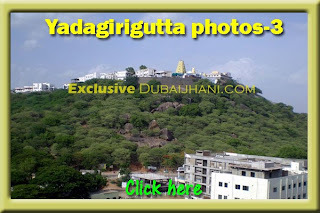 It is located 6-km from Aler and 80-km from Hyderabad and 25 km from Yadagirigutta. it is a place of much historical importance. It was once a prosperous city covering an area of 93.24-km and the ruins of old fortifications can still be seen. It gained prominence when it was made the alternate capital of the Kalyani Chalukyas in the 11th century AD. 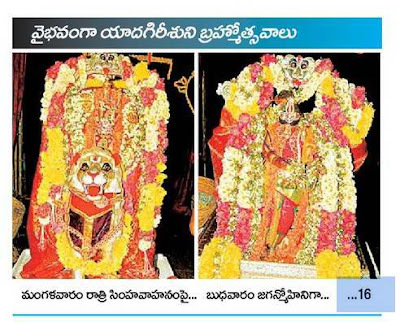 Previously its called as Kolanupaka, Kottiyapaka, Kollihaka, Kollipaka, Bimbavatipuram, and Vyakhyananagaram also. It is of great religious importance to the Jains as well as Shaivites (worshipers of Lord Shiva). It is famous for the 2,000-year-old Jain temple with its 1.5meters high image of Mahavira. 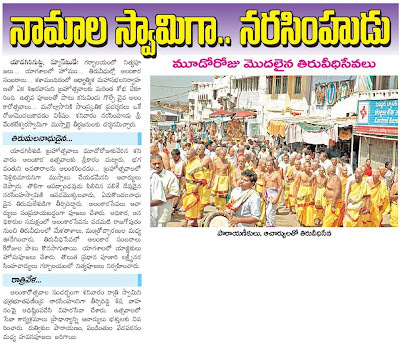 It is the birthplace of 'Renukacharya', the great 'Veera Shaiva' saint, believed to be born from the 'Svayambaghu Linga' at this village and absorbed into it after preaching Veera Shaivam. Shree Veeranarayana temple was built around 1104 AD, in Chalukyan style. 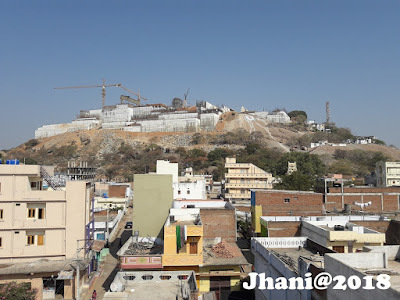 Based on the architectural details it is considered that it was a Jain temple initially, which was later modified into a Vaishnava place of worship. 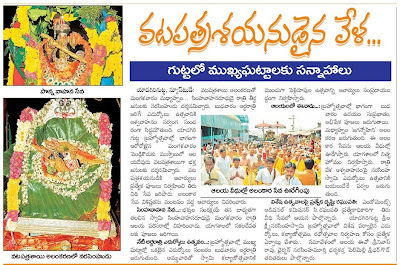 Other temples at Kolanupaka are the 'Visveswara' or 'Vishveshwara', Hanuman, and 'Someshwara' or 'Someswara'. All these temples are rich in sculptural beauty. content source : various sites on net. 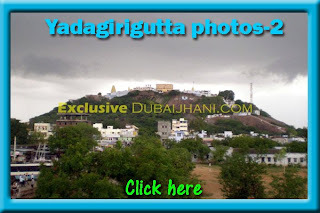 I am Jhani, author of this blog, Native of Yadagirigutta and working in UAE, while browsing on internet one day i couldn't find more information and pictures about Yadagirigutta, accordingly i have started this blog in 2007, to say some thing and show some thing about Yadagirigutta. 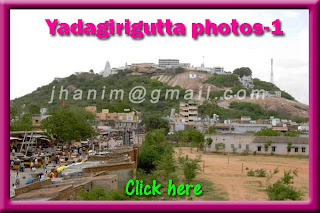 and i am very happy to say now this blog is on top in Google search for Yadagirigutta route map, photos and for information. 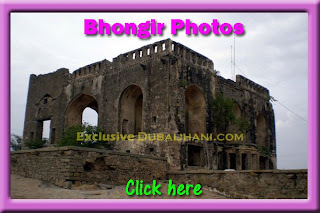 If you want to know more which i have not mentioned on this Blog or may be i didn't concentrate on those points so please write to me by clicking "Post a Comment" button below or drop a email to jhanim@gmail.com, i will try to give that information and i will be very happy to guide you because you are our guest. 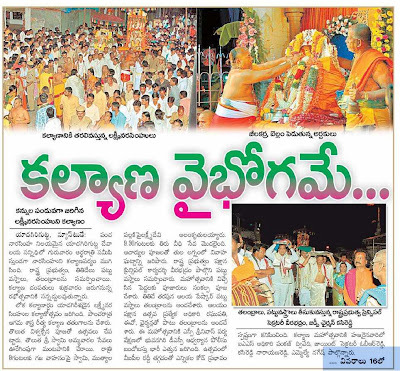 Part of the Yadagirigutta Brahmotsavam the main event Kalayanamahotsavam is going to be held today night. you can watch live on DD-8 and SVBC channels starting from 10.00 pm IST today. 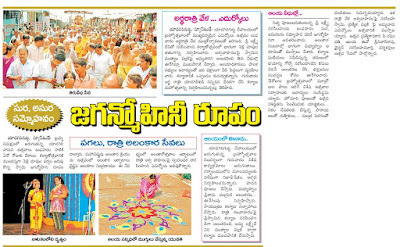 Kumari Ramyateja, resident of Hyderabad was performed Kuchipudi Dance yesterday at Yadagirigutta Brahomtsav 2009, all the audience are appreciated her performance for "Koluvaithiva Rangashayi" Slokas / song. she already performed her dance in around 108 temples before. 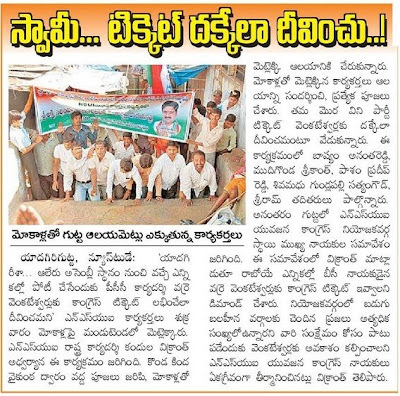 India is now in Elections Season including Assembly elections of AP State also. NSUI (Congress Party’s Students Organization) representatives climb the Yadagirigutta temple by their knees through the steps route to pray Lord Narasimha Swamy to bless their leader with a Party Ticket for Aler Constituency and showed their dedication. 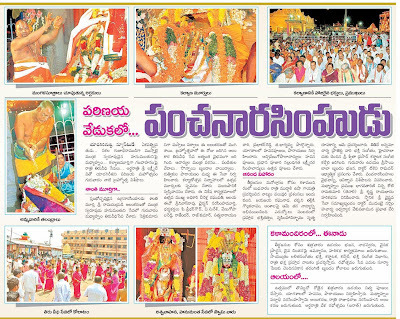 After read, this news article…. I remembered the bollywood song “ jaha paav me payal, haath me kangan, ho mathe pe bindiya…. 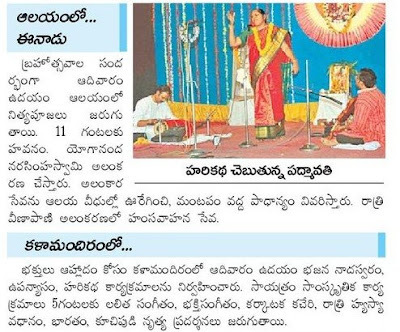 Its happens only in India"
Devotional and cultural programs in Sangeetha Kala Mandiram Auditorium out side the temple on Yadagiri hill. 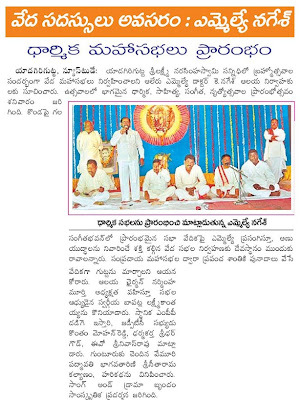 Yesterday (28.02.2009), Devotional, Cultural and Literary programs are started as a part of Brahmotsav at Sangeetha Kala Mandiram Auditorium on Hill of Yadagirigutta. 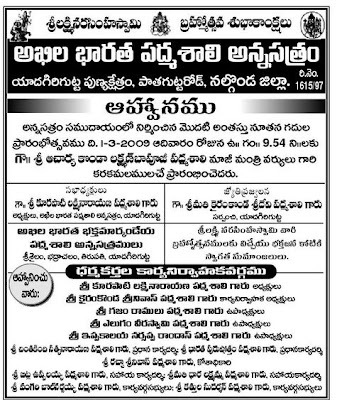 All India Padmashali Anna Satram, Yadagirigutta opening their building’s 1st Floor. This organization is providing free accommodation and food for Devotees of Padmashalis and others (checkout for their rules & regulations).